Edward T. Brown -The Owner-Driver's Handbook. 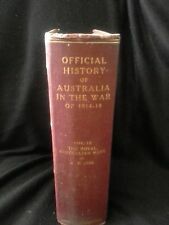 Hardcover probably published without a dustjacket, published by Ward Lock & Co, UK & Australia, 1925, 288 pages, 443 grams. ISBN does not apply. In Acceptable condition - book has no dustjacket but does not appear to have been issued with one, slight cover wear, spine has a couple of discoloration marks, rear cover has a couple of discoloration marks, page edges foxed and lightly tanned, top page edges have a couple of discoloration marks,binding strip visible between inside front cover and first page, foxing marks on most of the pages, p129-192 have slight top edge greyish discoloration. 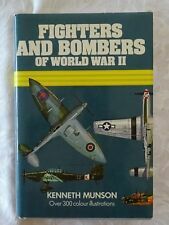 Fighters And Bombers of World War II 1939-45 by Kenneth Munson | HC/DJ Illust. A COMPLETE GUIDE IN THE INTEREST OF CACTUS COLLECTORS. 150 ILLUSTRATIONS.110 CACTI IN COLOR. WHAT ARE CACTI?WHERE THEY ARE FROM. WHAT THEY ARE FOR. WHO COLLECTS THEM AND WHY. HOW TO START A COLLECTION. With The Australian Services From 1788-1947. R A N//A M F and R A A F.
Publisher: Ure Smith, 1947. GREAT HISTORICAL RECORD OF SYDNEY TOWN. Used - Very Good. Text body is clean, and free from underlining and highlighting. Binding is tight, covers and spine fully intact.32 Illustrations, 46 Pages. I PLANTED TREES. HC/DJ pbl in 1947 by LUTTERWORTH. ISBN does not apply. Unless requested otherwise, we are sending letters by the slightly slower and more economical Regular service. You will then receive bi-weekly updates. By Charles Barrett. Charles Barrett is an inherently modest person. His quest of birds, butterflies and all living things in the air, in the sea and on the earth, has been that of the almost abashed student. See photos for details. (Weight 1.4 kgs). By H. A. Hazell. 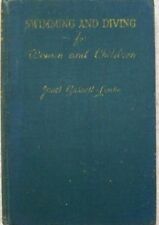 Sir Isaac Pitman & Sons, 1938, b/w photographs and instructional drawings throughout, hardcover of yellow boards and maroon cloth spine, dustjacket. Understand Your Car. 1 : Magnetism & Electricity 12 chapters appends. pub.,His Majesty's Stationery Office, 1938. A COMPLETE SET for 1941. By Charles Chauvel. In The Wake of "The Bounty". The Endeavour Press, 1933 [First Edition], black and white photographic plates, hardcover. By Richard Kerr. " Nature - Curious and Beautiful. Scarce Antiquarian Edition. Octavo size (13 x 19cm), 274 pages. Good Condition. No dustjacket, as issued. Light wear to edges and corners of book. Yorkshire Tour by Ella Pontefract and Marie Hartley. Publisher: JM Dent & Sons, 1946. Condition: book in good condition, dust jacket very worn, see photos. Gift note dated 1946 on first page. No marked (apart from age spots on first few pages and outer edges pages), missing or torn pages. John M Fegan. Colour and Soundness. Seasonal Influences on the Wool Fibre. 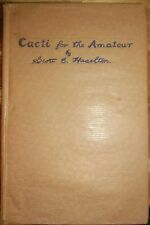 Second Edition Printed 1947. Yield : Dust, Yolk and Vegetable Fault Content. Wool Sorting. ~~ FULL OF GREAT OLDER INFORMATION ~~. With Illustrations by Bertram Prance. by ANTHONY ARMSTRONG "A. A.". By JACOB BURCKHARDT. THE CIVILIZATION OF THE RENAISSANCE IN ITALY. Phaidon Press, Vienna, George Allen & Unwin, London, undated, 1948, hardcover large 8vo without dj, 640pp., B/W ARTWORKS, cream endpapers, 6 Parts, Appendix & INDEX. (The Great Operas by J. Cuthbert Hadden. 2) LOHENGRIN. 1) THE FLYING DUTCHMAN. Two books on Wagner's Operas . By GEORGE T. PLOWMAN. And other Graphic Arts An Illustrated Treatise. EARLY ARTISTS OF AUSTRALIA Rex and Thea Rienits 1963 1. Authors: Rex and Thea Rienits. Format: 1963 1. st Edition Hardcover with Dust Jacket. st Edition Hardcover with unclipped Dust Jacket. Publisher: Angus & Robertson, Australia. By Jennett Humphreys. They are amazing, every one; they are a marvel. I wish I could say I had seen them all myself. I have not, though; for nobody in this world has seen everything in it. And that is good to know.'. Publisher: Readers Union, 1948. Binding: Hardback. Size: approx 13.5cm x 21 cm x 1. 5cm. Illustrations: black and white wood engravings by Paul Landacre. Condition: In very good condition. No marked (apart from age browning of end papers), missing or torn pages. The whole is nice and solid and clean and tidy with only minor signs of wear. By GEORGE A. MITCHELL, F.R.I.B.A., M.I.Struct.E., and A. M. MITCHELL, B.Sc., A.C.G.I., M.I.Struct.E. Based on the work originally compiled by the late CHARLES F. MITCHELL. BUILDING CONSTRUCTION AND DRAWING. HC/DJ pbl in 1948. by H V MORTON. THE HEART OF LONDON. The scan is of the actual book for sale. Allenby's War. by David L. Bullock. Total Weight: 615 grams. Far from the dark trenches of Belgium and France was fought a campaign of manoeuvre, speed and panache. Dust Jacket worn around edges & marked - Foxing & marks throughout - Great Reading Condition. Good condition is generally defined as a book that has been read but remains in clean condition. All of the pages are intact and the cover is intact and the spine may show signs of wear. Glove Puppetry for Young Children. by D. P. Harding. Hard Cover. Book Condition: Very Good. Dust Jacket Condition: Very Good. First Edition. 116 pages, b/w photos thr/out. Illustrated, unclipped jacket. Pages clean straight & unmarked. Strong, intact binding. Condition is Acceptable. Mr Morton's books were an entertaining read for his many followers. The adventures of BETSY SANDBACH & GERALDINE EDGE. HC pbl in 1941 by HODDER & STOUGHTON. PRISON LIFE ON A PACIFIC RAIDER.